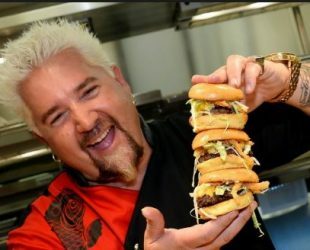 Guy Fieri was born on 22 January 1968, Columbus, Ohio, United States. American author, tv personality, restaurateur and game show host. Guy’s paternal grandfather was of Italian origin. Net worth: 8.50 million USD. Guy Fieri’s Foxwoods Kitchen and Bar, Ledyard. Guy Fieri’s The Villages Kitchen and Bar, The Villages. El Burro Borracho, Las Vegas. Guy Fieri’s Vegas Kitchen and Bar, Las Vegas. Guy Fieri’s Chophouse, Atlantic City. Guy Fieri’s Smokehouse Louisville, Louisville. Guy Fieri’s Baltimore Kitchen and Bar, Baltimore.